I expected to make new friends, have compassion, and learn humility when I embarked on my first-ever mission trip. 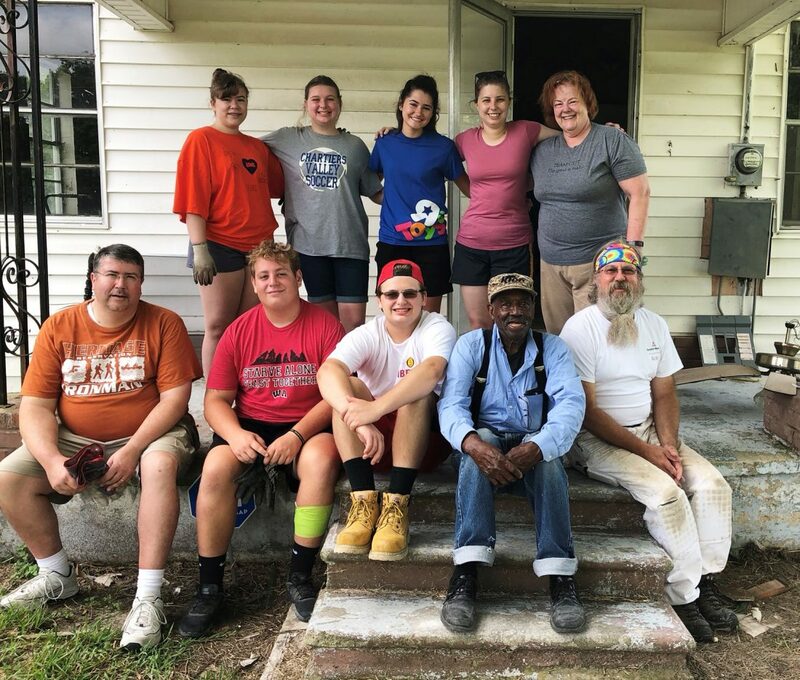 We helped rebuild a house in Port Arthur, Texas that had been devastated by Hurricane Harvey a year ago. I was Hope Church’s only participant. Two other churches from the Pittsburgh also served led by Pastors Laura and Jim. Our team included two 14-years, three 18-year-olds and five older adults. We enjoyed working and playing together. The 14-year-old girls learned to use power tools and loved it. I beat a couple of the 18-year-old boys in basketball playing horse thanks to my “granny shot.” We all enjoyed playing UNO. And so I met new friends. Being compassionate was the easiest part of the trip. We worked on 83-year-old widow Mr. Roosevelt’s house. Meeting him was inspiring; by the end of the week I’m not sure who was ministering to whom! Mr. Roosevelt was cheerful and told us the Bible says you get three score and 10 years (70 years), so he figures he’s had had 13 more years than promised. The fact that his house was destroyed was just a small part of his story. He had bought his house only two years prior to the hurricane destroying it. And humility—Texas heat and sleeping on a gym floor did not excite me. And yet, both went ok. Nothing feels better than a shower after a hot and sweaty day’s work! I loved tearing down old shiplap. Rebuilding was another issue. Due to recovering from hand surgery, I was restricted from doing some tasks. But I could sweep. So, I joyfully did that most mundane of jobs. The last day, Pastor Laura and I were at loose ends while two teams put up sheetrock. So we ran errands, swept and pulled nails to prepare for the next week’s volunteers. Laura and I cheerily pulled down hundreds of nails. And then she discovered eggs and live termites in a corner of the house. Yuck! And yet performing that tedious task of pulling nails uncovered a serious problem. It was a setback BUT thankfully we found the problem so that it could be solved. I can be more humble, serve, and step back from my natural tendency of taking on leadership. I can learn from younger leaders like Pastor Laura, and Cindy and Jeremy from Experience Mission.